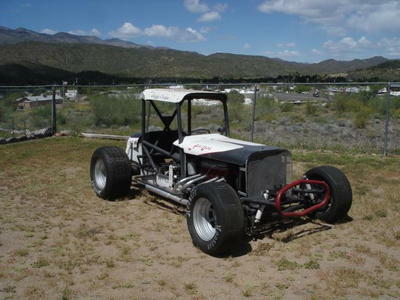 Most short track racing fans know that the history of this exciting sport not only began on the back roads of little towns, but also in the dirt. In fact, most of the most talented drivers such as Mario Andretti, Lee and Richard Petty, Ralph and Dale Earnhardt, Jeff Gordon and Tony Stewart began their successful racing careers in the dirt. 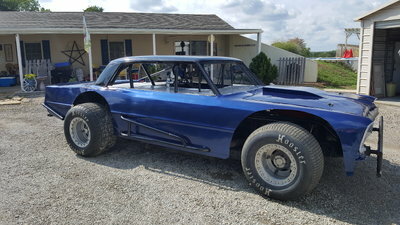 RacingJunk.com‘s featured Behind the Wheel driver, Jared Landers, who is continuing to prove that dirt track racing is still one of the most challenging forms of this sport, hopes that his name will someday also be in the spotlight. 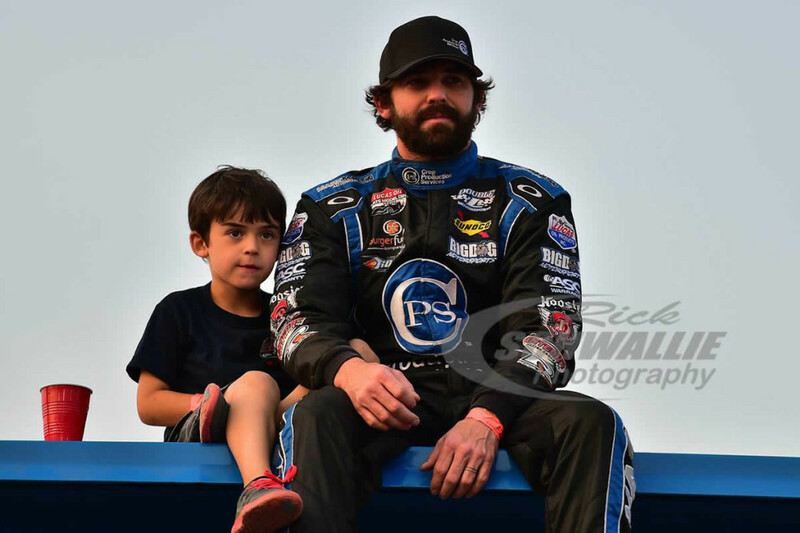 For the next couple of years, the young driver would continue to learn everything that he could about competing in the dirt from those whom he considered his mentors. “While I raced my go-kart for a couple of years, I actually took a few years off to watch and assist some of the top drivers, like Crawley and Chastain, compete at what I still consider my favorite track, Batesville Motor Speedway, in my hometown of Batesville, Arkansas,” said Landers. With a little help from his friends, Landers was once again ready to jump back Behind the Wheel at the age of 17. 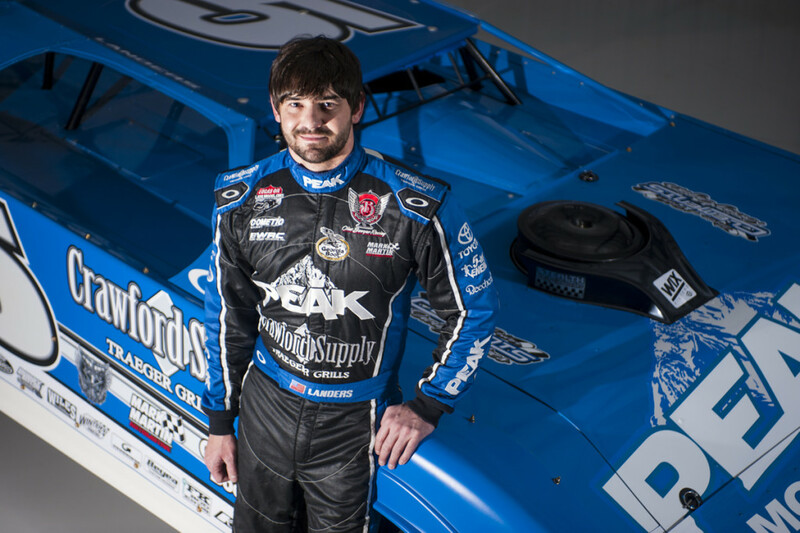 “Along with my father and Terrell Chastain, I was able to compete in an old modified at Batesville before my dad decided that it was time that I had a chance to compete in a new and improved dirt modified,” said Landers. It wasn’t long before this ‘take no prisoners’ competitor found his niche and began winning races throughout the Northeast. In fact, Landers picked up over 100 Open Wheel Modified Feature wins, including a very memorable win at the 2011 Winternationals at East Bay Raceway Park, in Tampa, FL. With a desire to continue finding the most challenging forms of circle track racing possible, Landers would eventually jump out of his modified to prove that he had what it takes to compete in a late model. While showing some serious success in a modified, Landers also proved that he could keep picking up checkers in a late model. So much so, that this driver made the move from his hometown of Batesville, AR to the hills of North Carolina. “I actually moved to Welcome, NC to assist Austin and Ty Dillon in their dirt modified racing efforts and even built a dirt modified for them to race at the DIRTCar Nationals, at Volusia Speedway,” said Landers. During his time with Team Dillon Racing, Landers also had a chance to get to know well known NASCAR Sprint Cup star Clint Bowyer. 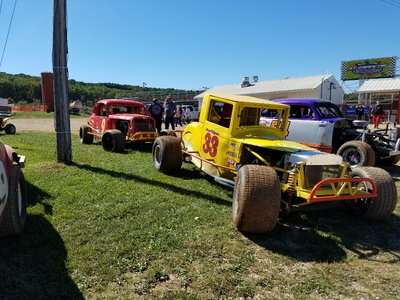 “Clint asked me to assist with his team’s dirt modifieds and late models and before long was asking me to drive one of his late model cars,” said Landers. During his time competing for Clint Bowyer Racing, Landers also developed a relationship with NASCAR driver, Mark Martin. 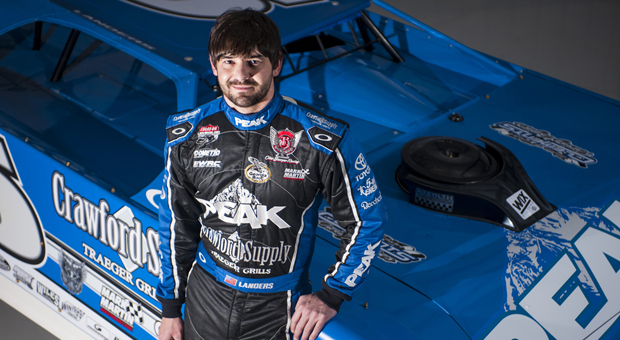 Martin, who was very impressed with the talent that he saw in this dirt racing phenomenon, aided him in his first NASCAR start when then the NASCAR Camping World Truck Series made its return to dirt at Eldora Speedway in 2013. After struggling through his final year with Clint Bowyer Racing in 2014, Landers decided that it was time to move his family back home to Arkansas to continue in the sport that he loves the most. 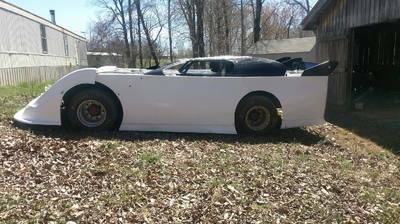 “The money racing with Clint Bowyer Racing began to dry up and our kids’ school season was beginning. My wife and I didn’t want to pull our kids out of NC schools in the middle of the year and I was ready to begin not only racing a car, but working on it as well so we made the move back to my hometown of Batesville, AR. 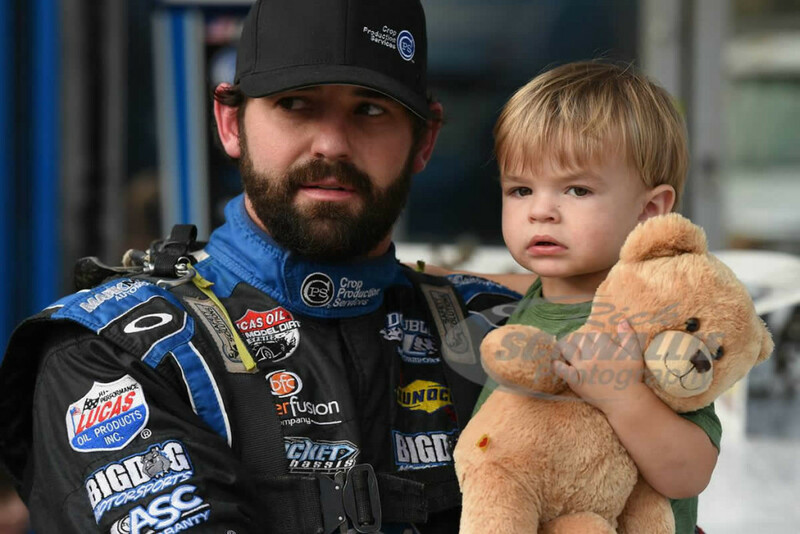 Ever the family man as well as the full-time driver, Landers may have made the best decision of his life after making the move back home because today his full-time dirt late model career has led to racing for his partner co-owners, including his father and Mark Martin and winning races. 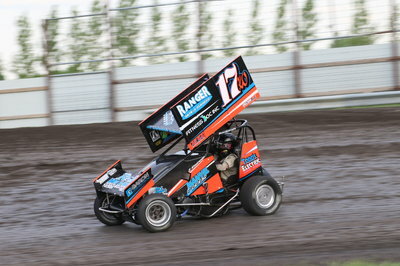 In fact, Landers recently landed a BIG WIN in the Midwest Late Model Racing Association’s Spring Nationals, sponsored by RacingJunk.com at Lucas Oil Speedway. From the drop of the green flag on that Saturday night, Landers proved that he had the car to beat after leading all 40 laps of this race. 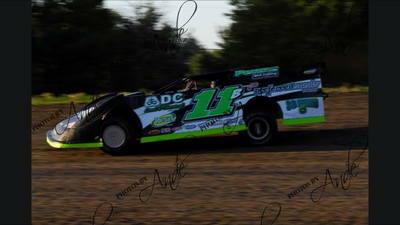 As Landers continues his dream, we will continue to follow his climb up the dirt tracking ladder. For more about the circle trackin’ warriors of the MLRA Dirt Racing Association stay tuned to RacingJunk.com and check out the video below to watch Landers in action!